I have reviewed a couple of apps put out by iHomeEducator in the past. Most of those related to math, but they also have titles involving grammar, spelling, vocabulary, and even history. 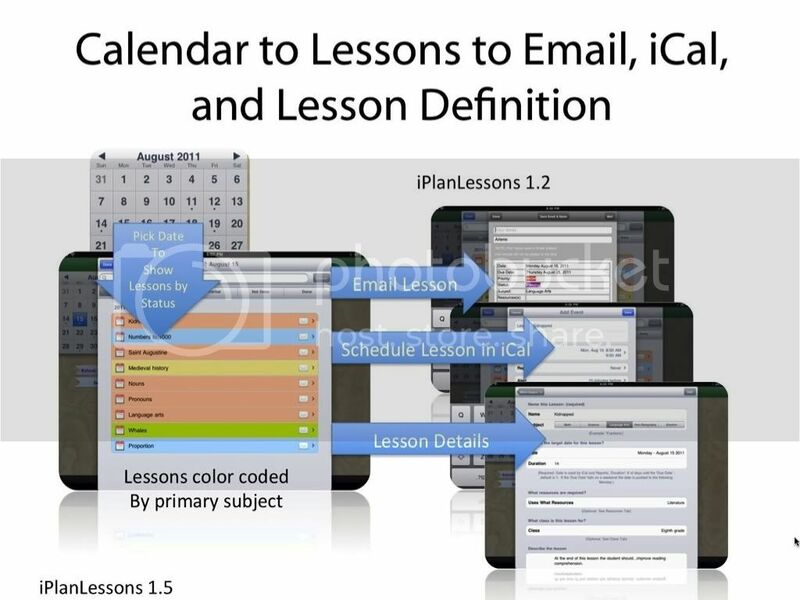 Now there is a lesson plan app - iPlanLessons. It works, technically, on both an iPad and the iPhone/iPod Touch platforms. But it is much, much better on the iPad. The screenshot here is on an iPhone. It works. But it just isn't as easy to use. This review is going to be mostly of photos from their website, but let me tell you a couple thoughts I have in between. I love the idea of being able to do some lesson planning on the iPad. But my kids have the iPad, and I have a Touch. I think I would love this more if I had access to the iPad more frequently. 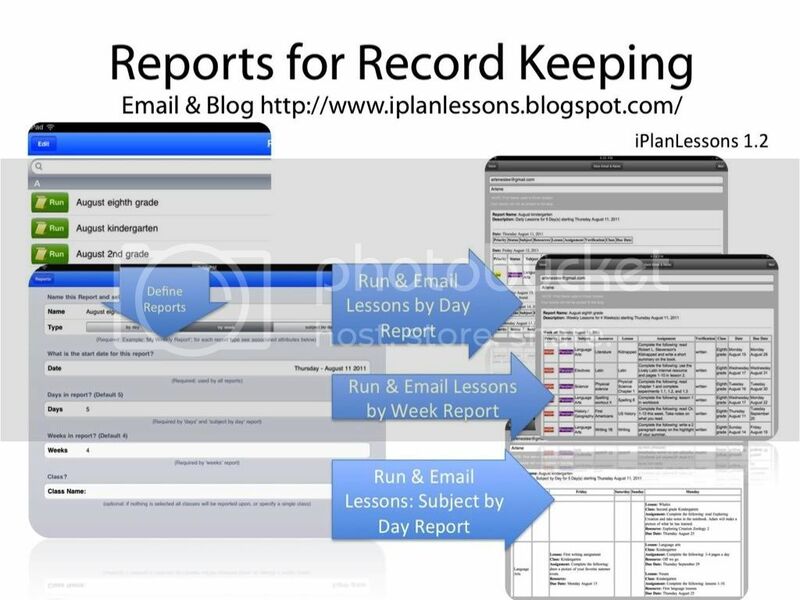 I love being able to push the assignments from iPlanLessons to iCal or email. Love that. Every time that the folks at iHomeEducator update this program (updates are free), it is 100% better. So right now, at version 1.5, I am finally feeling like there is enough value here to recommend it. I was too frustrated with how it worked before to be able to say that! Available through iTunes, this is priced at $9.99. I think the best part is that it is allowing my kids to create "lesson plans" for scout merit badges... because anything that is giving them the ability to do their own planning is a hit with me! 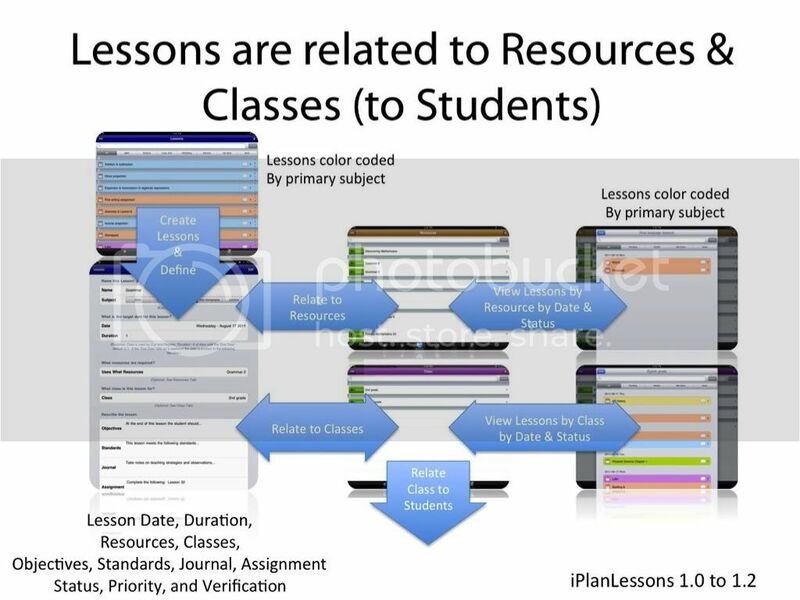 Disclosure of Material Connection: I received iPlanLessons for free in the hope that I would mention it on my blog. Regardless, I only recommend products or services I use personally and believe will be good for my readers. I am disclosing this in accordance with the Federal Trade Commission’s 16 CFR, Part 255: “Guides Concerning the Use of Endorsements and Testimonials in Advertising. How do you feel this program compares to the features and benefits of home school tracker? Do you have to be connected to the internet to use it? I'd love to have something i can use on the iPad, but really am hesitant to start all over again. And how easy would it be to print assignment sheets? Debbie -- if you are using Homeschool Tracker, I'd probably stick with it. My problem is that I have not been able to use HST for the last couple of years because of PC issues. This is nowhere near as comprehensive a program as HST. What I am liking though is that it is something we can actually use, and the kids can access it easily. Can you use this offline? I'd like to be able to take my app with me and use it offline. Yes, it does work offline! !